This year, a new type of video show is coming to Woodland. HawkBuster is half of a discussion of a recent movie, a classic movie, any sort of relevant film, and the other half is whatever original projects and creative videos that Hawk Productions comes up with. The idea came up at the beginning of the 2018-2019 school year, and HawkBuster is a vastly different show from what the organization normally produces. Before that, Hawk Productions produced a show called “Hawk Talk”, which was far more scripted and news oriented. HawkBuster will be a show that is more oriented towards entertainment, and less towards Woodland’s happenings. Hawk Productions secretary, Robert Hansen, was excited for the show to debut. He believes that it’s a new opportunity for the members of Hawk Productions. Hansen is often found front running the creative videos in some way, whether it be writing or directing. He will be hosting or participating as one of the hosts on a lot of the episodes. “I’m supposed to be a writer. But since a lot of Hawk Buster is improvisation, discussion, and unscripted, it’s harder to do that,” said Hansen. 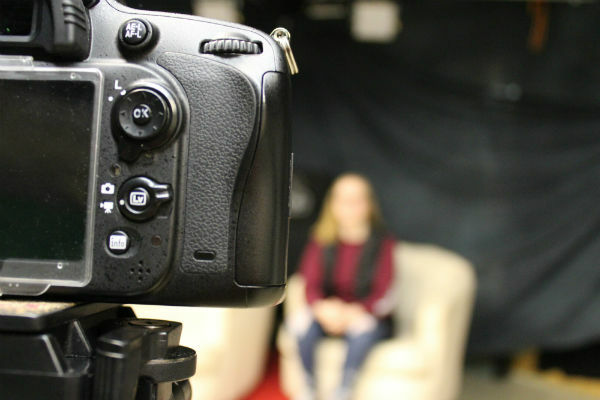 Students can get involved with Hawk Productions by taking the Digital Media (DM1) class, and then taking Digital Media and Movie Making (DM3) class. Students could also join the after school club that meets two Mondays a month. The first video of HawkBuster can be viewed on the Hawk Productions youtube channel, WRHS TV. Be sure to keep up to date on HawkBuster and all other projects and shows by Hawk Productions on their website.